We have been very fortunate to collaborate with few great Indian chefs and restaurants through our past two Issues. Our featured Chef Gaggan from April Issue is Now No.7 In the worlds 50 best Restaurant List. A proud Moment for any Indian and Chefs. 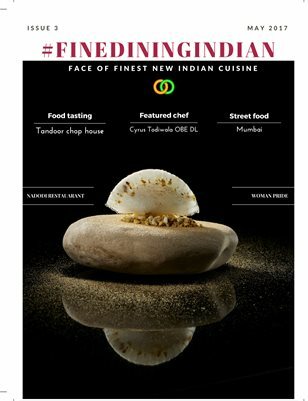 One of Finediningindian client restaurant Flora Indica is now Forbes Top 7 London Indian Cuisine Restaurant List. We have given two recipes that’s been developed for this Indian small sharing plate Project. Our food tasting series Features the New Tandoor Chop house restaurant , A good potential restaurant but Indian flavours are lacking . Again a good concept with Westernised Indian taste. Read full article and our experience inside.